Do you know the benefit of yoga for diabetes? While yoga is well known to have a number of general health benefits, yoga may specifically benefit your diabetes. Much of the research on yoga for diabetes has been done in India– the country credited for its creation. A 2005 report from a medical school in India found that asana yoga regime under the supervision of an expert improved fasting glucose, post prandial glucose, and decreased waist-to-hip ratios. Other research suggested that the potential mechanism resulting from asanas yoga was increased insulin sensitivity. 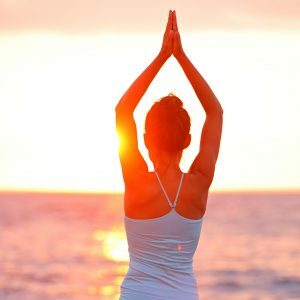 A report in the Indian Journal of Endocrinology and Metabolism in 2013 suggests that if you have had type 2 diabetes for less than 10 years and your fasting glucose is less than140 mg/dl, your blood sugar may respond to yoga alone. However, if you have more significant control problems, you will need medication along with yoga. 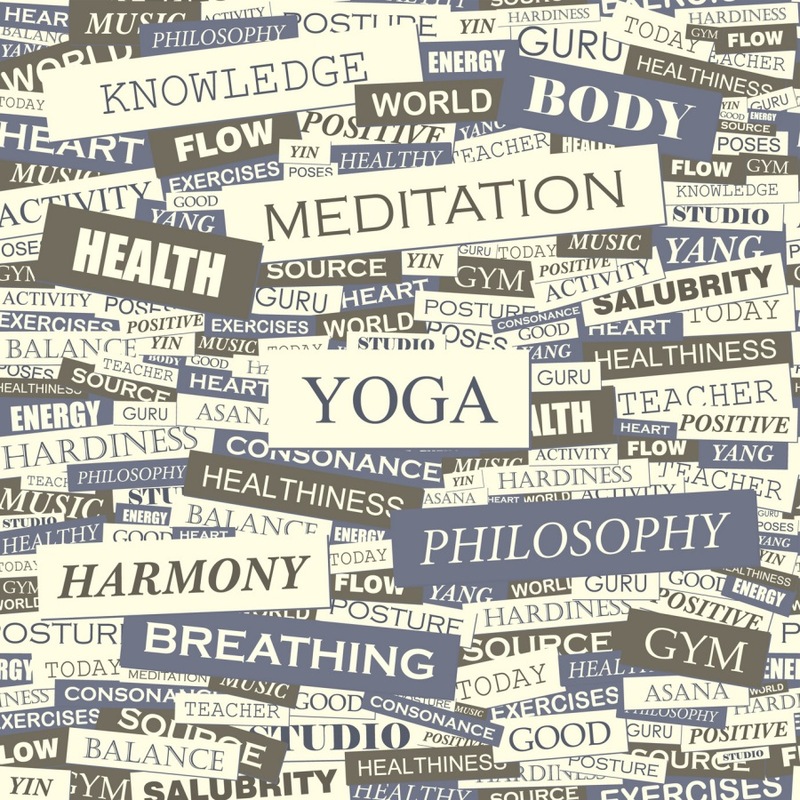 Given that yoga started in India, it may not be surprising that research there has been positive. A UK study of complementary and alternative medicine treatments demonstrated improvements in HbA1c, fasting glucose, total cholesterol, low-density lipoprotein cholesterol, and weight. The intervention consisted of an Ayurvedic diet, meditation instruction, and an Ayurvedic herb supplement, while the control patients received standard diabetes education classes and standard care from their doctor. A 2005 systematic review in the Journal of the American Board of Family Practice suggests that yoga for diabetes may decrease insulin resistance and other cardiovascular risk factors, improve clinical outcomes, and aid in management of diseases such as diabetes. However, they also state that further high quality studies are needed to tease out and delineate the potential benefits of yoga and diabetes. Stand with a straight back with your palms together as in a prayer position. Breathe in and stretch your arms above the head. Breathe out and bend forward while touching your toes. It you cannot reach all the way just reach as far as you can. Breathe in and stretch the right leg away from the body in a big backward step and keep the hands and left foot firmly on the ground. Bending the head backward the left knee should be between the hands. Breathe in and hold the breath. Move the left leg from the body and, keeping both feet together and the knees of the floor, rest on the hands (arms straight) and keep the body in a straight line from head to foot. Breathe out and lower the body to the floor. In this position, only 8 portions of the body come in contact with the floor: the two feet, two knees, two hands, chest and forehead. Breathe in and bend back as much as possible bending the spine to the maximum. Breathe out and lift the body of the floor. Keep the feet and heels on the floor. Breathe in and bring the right foot along the level of the hands; left foot and knee should touch the ground. Look up, bending the spine slightly (same position as #4). Breathe out and bring the left leg forward. Keep the knees straight and bring the head down to the knees as in the third position. Lift the arms overhead and bend backward while inhaling. As in Position 2. Breathe out and let the arms drop and relax. Steps 1–12 complete one round. Try to preform a set of 3. You will need to gradually build up the number of rounds you can complete. In the beginning you can shoot for a starter goal of 6 and should not do more than 30. Depending on your speed and intensity, this can be completed in 5- 15 minutes. Traditional teaching would have you do this early in the morning before an open air window, but I would say to complete whenever you can. Yoga for diabetes does not have to be incredibly complex or time consuming. Check out this video that shows you the basic yoga for diabetes steps discussed above. Talk with your doctor and begin a yoga plan for your diabetes today. 1. Malhotra V, Singh S, Tandon OP, Sharma SB. The beneficial effect of yoga in diabetes. Nepal Med Coll J. 2005 Dec;7(2):145–7. 2. Manjunatha S, Vempati RP, Ghosh D, Bijlani RL. An investigation into the acute and long-term effects of selected yogic postures on fasting and postprandial glycemia and insulinemia in healthy young subjects. Indian J Physiol Pharmacol. 2005 Jul-Sep;49(3):319–24. 3. Elder C, Aickin M, Bauer V, Cairns J, Vuckovic N. Randomized trial of a whole-system ayurvedic protocol for type 2 diabetes. Altern Ther Health Med. 2006 Sep-Oct;12(5):24–30. 4. Innes KE, Bourguignon C, Taylor AG. Risk indices associated with the insulin resistance syndrome, cardiovascular disease, and possible protection with yoga: a systematic review. J Am Board Fam Pract. 2005 Nov-Dec;18(6):491–519.